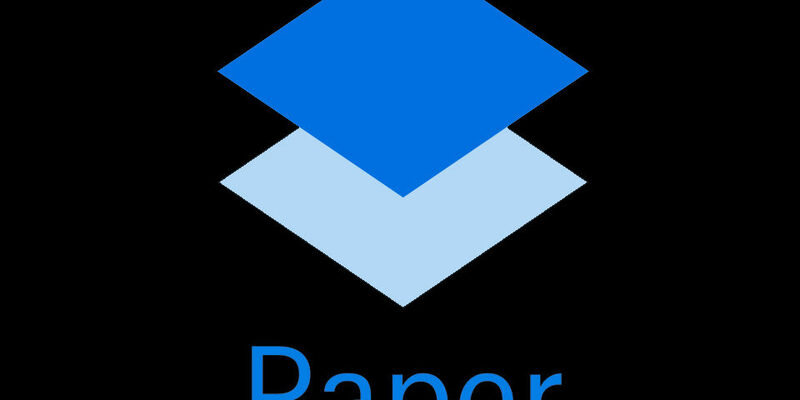 Dropbox Paper is a collaborative document editing service offered for free by Dropbox. 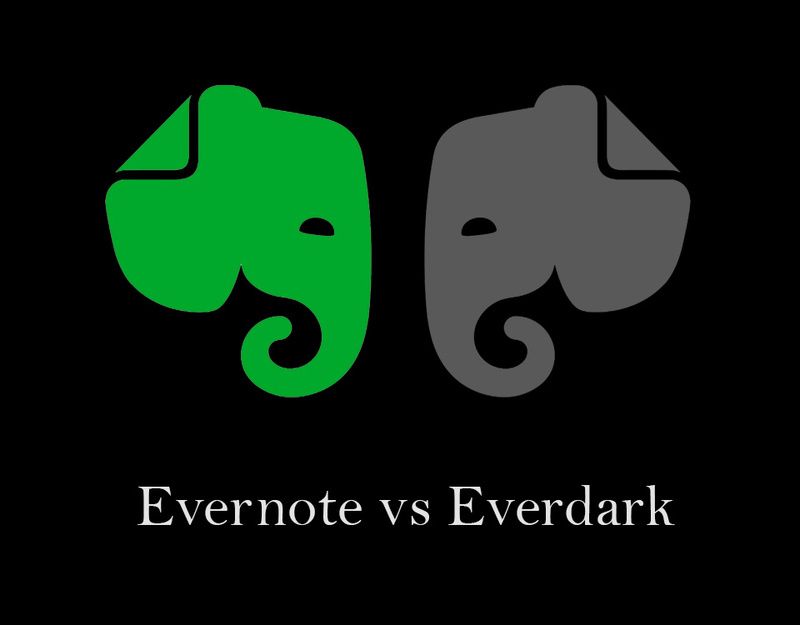 It is a great productivity tool used by thousands of people on a daily basis. 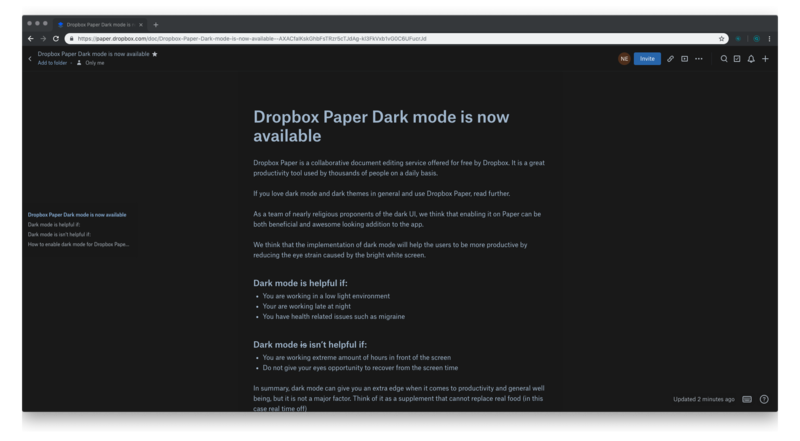 If you love dark mode and dark themes in general and use Dropbox Paper, read further. 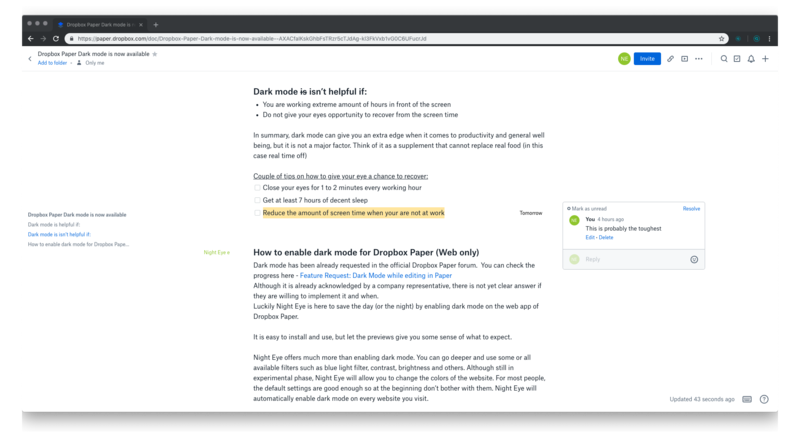 As a team of nearly religious proponents of the dark UI, we think that enabling it on Paper can be both beneficial and awesome looking addition to the app. We think that the implementation of dark mode will help the users to be more productive by reducing the eye strain caused by the bright white screen. Although it is already acknowledged by a company representative, there is not yet clear answer if they are willing to implement it and when. 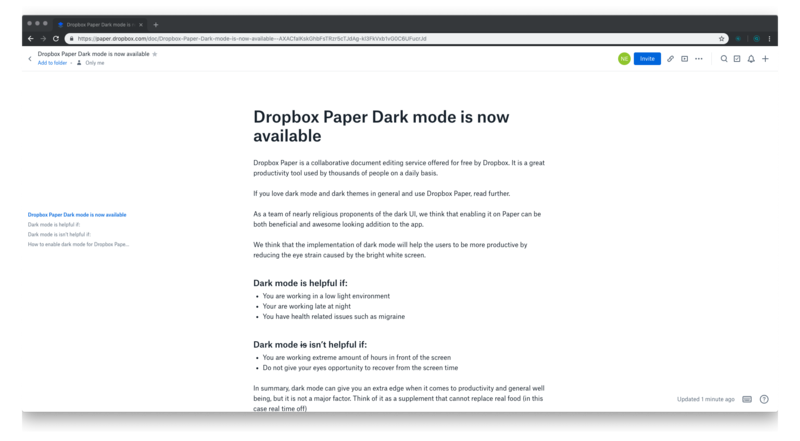 Luckily Night Eye is here to save the day (or the night) by enabling dark mode on the web app of Dropbox Paper. It is easy to install and use, but let the previews give you some sense of what to expect. Night Eye offers much more than enabling dark mode. You can go deeper and use some or all available filters such as blue light filter, contrast, brightness and others. Although still in experimental phase, Night Eye will allow you to change the colors of the website. For most people, the default settings are good enough so at the beginning don’t bother with them. 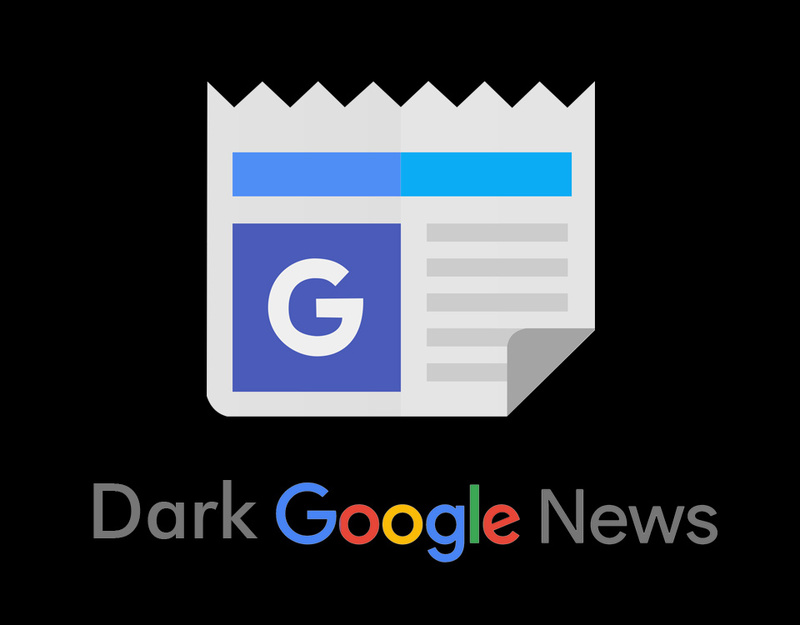 Night Eye will automatically enable dark mode on every website you visit. One of the major limitations of Night Eye is that it is available for desktop only. It is a browser extension that works on all major browsers. 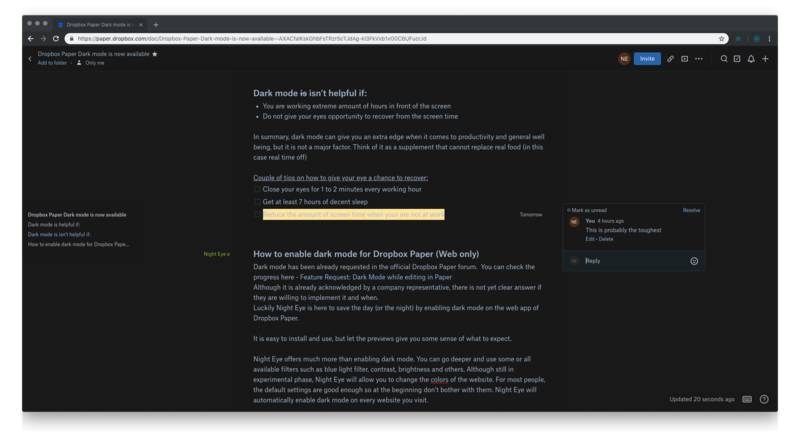 So how do you install and use Night Eye to get dark mode for nearly any website on the Internet? 1. Open https://nighteye.app and click on the browser icon you are currently using. 2. After successful installation, the icon of Night Eye will appear next to the URL bar - open it. 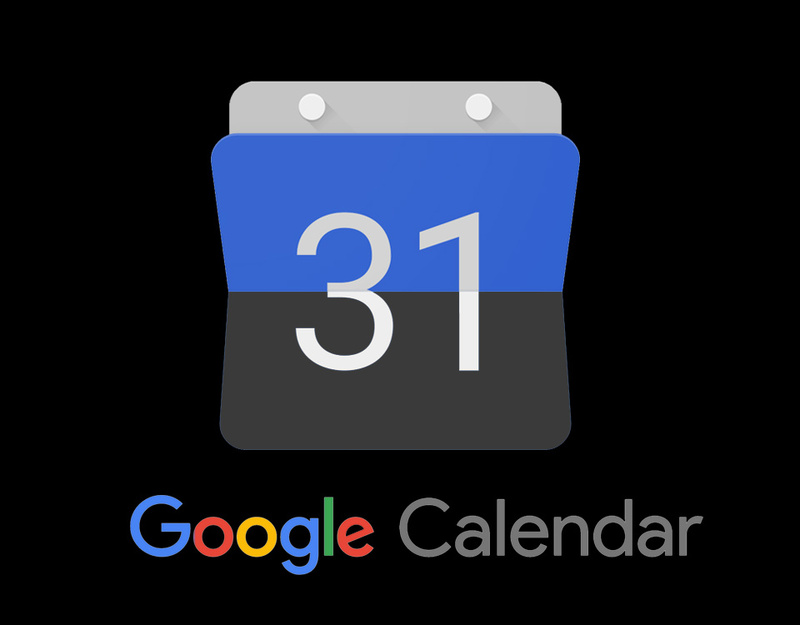 It is pretty straight forward and does not differ from the other extensions you already installed on your browser. © 2018 - 2019 Night Eye. All Rights Reserved.